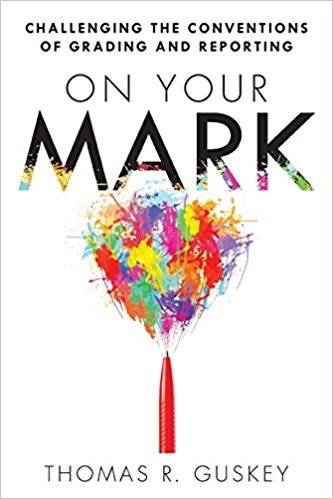 On Your Mark: Challenging the Conventions of Grading and Reporting ©2015 by Thomas R. Guskey explains to all teachers why their grading practices are probably wrong for many reasons. If you teach or know teachers you need to share this book. Click the icon at the bottom of any page to get this essential book. Thomas is Professor of Educational Psychology in the College of Education at the University of Kentucky. A graduate of the University of Chicago, he began his career in education as a middle school teacher, served as an administrator in Chicago Public Schools, and was the first Director of the Center for the Improvement of Teaching and Learning. He is the author/editor of 18 books and over 200 articles. Dr. Guskey served on the Policy Research Team of the National Commission on Teaching & America’s Future, on the Task Force to develop the National Standards for Staff Development, and recently was named a Fellow in the American Educational Research Association. 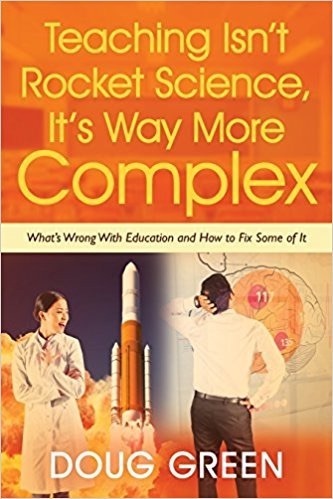 His books include Developing Standards-Based Report Cards (2010), Practical Solutions for Serious Problems in Standards-Based Grading (Ed.) (2009), The Principal as Assessment Leader (Ed.) (2009), The Teacher as Assessment Leader (Ed.) (2009), and Benjamin S. Bloom: Portraits of an Educator (Ed.) (2006). Guskey finds that there is little in the way of formal teacher preparation that deals with this subject. Teachers, therefore, tend to grade the way they were graded. As for report cards, they are usually cobbled together by a committee that takes what they like from other schools’ work. The process features enough compromise that everyone ends up with report cards that everyone can stand, but that no one really likes. If you want to reform your reporting process the first thing you should do is step back and ask what is your purpose. There might be many and it is likely that no single reporting instrument will serve all your purposes well. While schools and policy makers aim for success by all, if that really happened there would be no variation in grades. This doesn’t happen and teachers and test makers set out to sort students and they tend to be very successful. Bottom line is that your reporting process should be aimed at facilitating student learning. Guskey recommends that whatever your purpose is, it should be printed on your report. This entry was posted on Thursday, May 7th, 2015 at 5:44 am	and is filed under Book Summaries, Education Books, Leadership Books. You can follow any responses to this entry through the RSS 2.0 feed. You can leave a response, or trackback from your own site.